When does a renovation turn from a matter of convenience into a piece of art noteworthy enough to be featured in Veranda magazine? We don’t know the official line but it appears as though when Gary LaBorde set out to turn his house into a “modern” 1884 Italiante Home, he crossed it. With the help of designer Ann Holden and architect William Sonner, the team turned a 130-year-old “two story, 3,000-square-foot ‘breadbox’ with no bathrooms, kitchen, or closets” into traditional masterpiece with a modern interior. The renovation was centered on keeping the historic St. Charles Avenue allure while catering to their three young children. A focal point of the “new” house is the natural lighting offered by impressive floor to ceiling Crittall steel window and doors throughout the house. 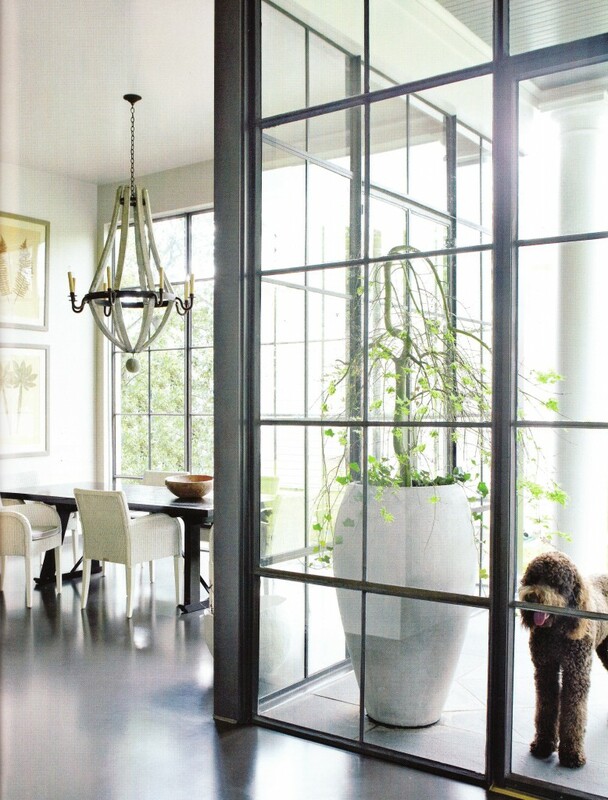 The windows, supplied by Steel Window and Doors USA, are the Crittall W20 Serieswith a bronze finish; they offer a relaxing subdued effect that is perfect for the New Orleans weather. While keeping with the historic architecture of the area, the LaBorde’s managed to “resurrect” their home into a modern manor. If you are considering renovating a historic home, or just want more natural lighting, let Steel Windows and Doors USA help you along the way. For more information on the Veranda magazine feature please visit The Featured Project page.